Thank you for visiting the Sundre Arts Development Centre website. We are located in the beautiful town of Sundre, Alberta. 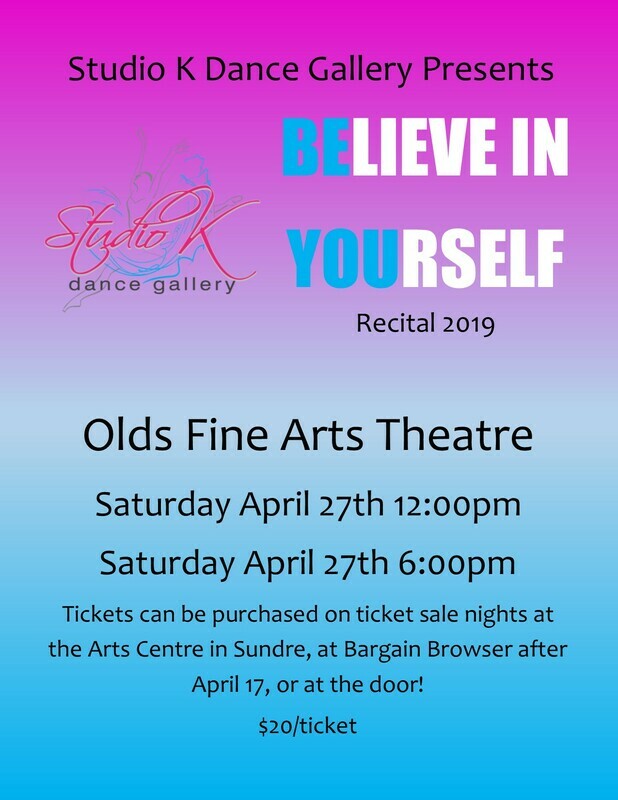 The Sundre Arts Centre is home to The Sundre Music Series, Peak Theatre Players dramatic society, and Studio K Dance Gallery. Read more about our Music Series in the Sundre Round Up's January 22 Issue!